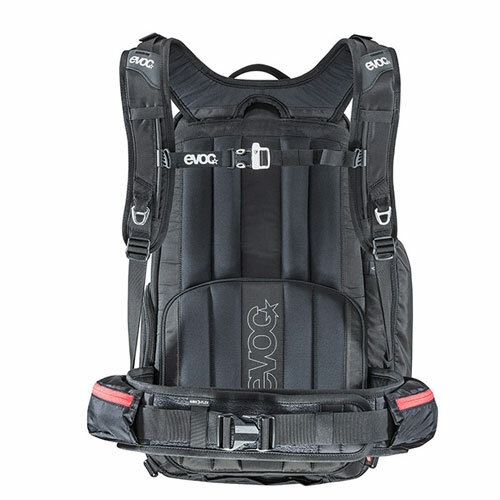 The Photo Scout by Evoc is the ideal backpack for the ambitious sports photographer or those adventurers who want to travel light when shooting. 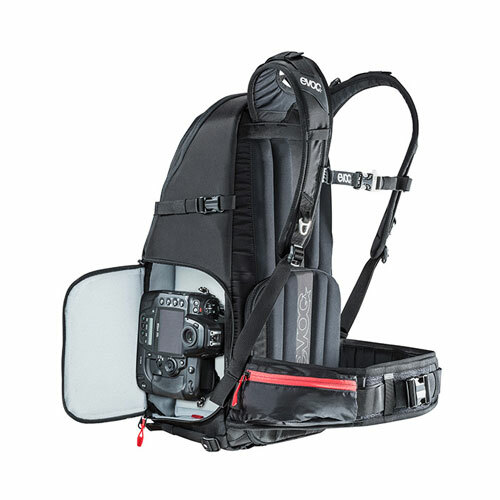 With a removable rain cover, you can rest assure that your gear is protected from the elements. 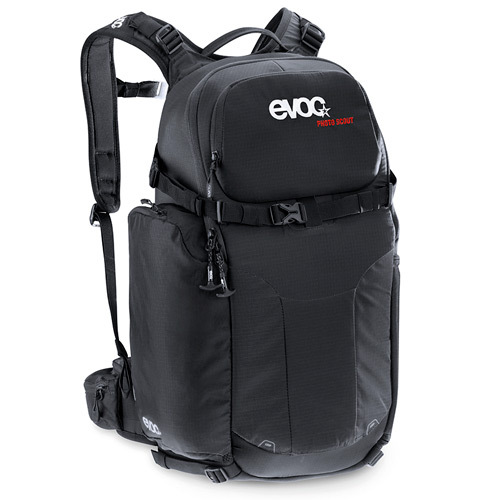 The Photo Scout by Evoc is the ideal backpack for the ambitious sports photographer or those adventurers who want to travel light when shooting. 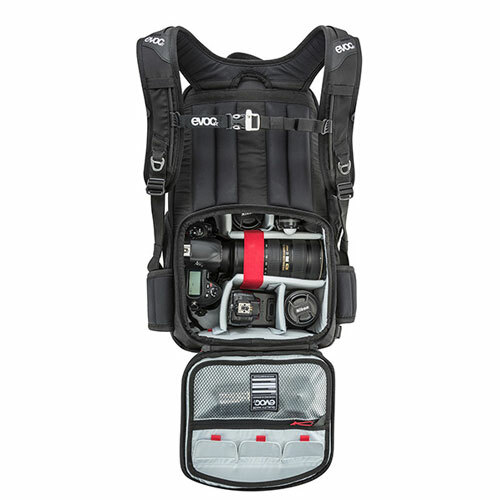 It will provide maximum protection for your beloved camera equipment in the main compartment with more space for personal belongings in a separate partition. Each compartment can be reached individually even when on your back, which makes it super practical and fun to use. Attachment system for tools such as an ice pick, ski pole, tripod, etc.